Howard Goldstein of Goldstein, Egloff, Ramos & Wood LLP was the featured speaker at a Jewish National Fund Lawyers for Israel(LFI) Breakfast. He captivated the crowd with his insights on gaining clients, recognition and awareness through internet marketing. 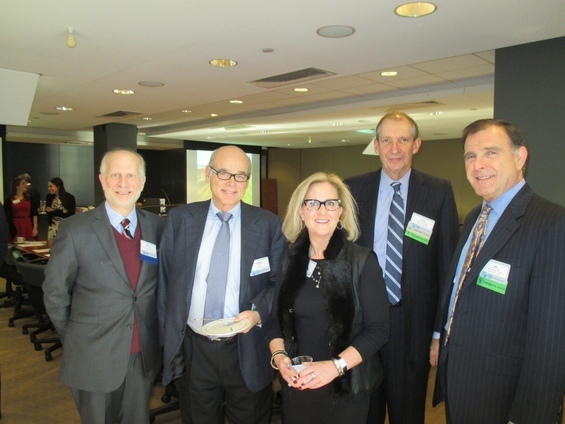 (L-R) New England Executive Board member Steven London, Goldstein, Kim Rubin, New England President, LFI Chair and event host Larry Cohen and New England President Emeritus and National LFI Co-Chair Robert Cohan.